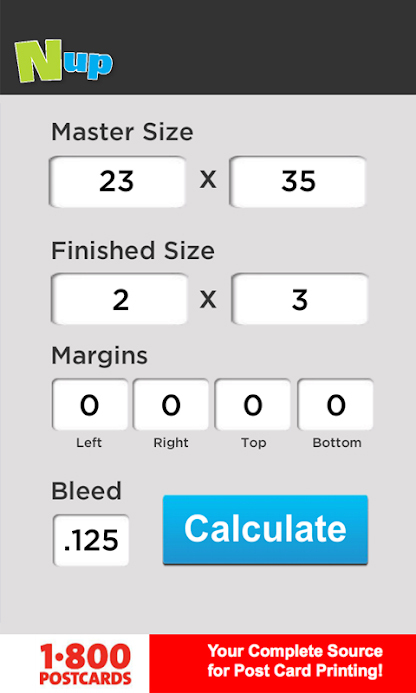 A 2D calculation utility that provides every possible imposition! Cut Out The Guess Work! The Nup app is available on Android only! Download now and start calculating! Simply drop in your numbers and press calculate... It's that easy! Every calculation provides visual results of the possible imposition. 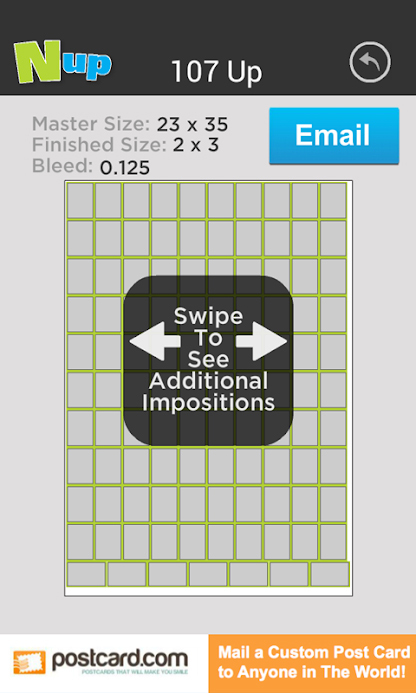 Swipe through every possible layout to insure you pick the imposition you need! Quickly share the desired layout with your colleague via email.